When I first started watching book reviews on Youtube, I found a video from a girl that was always raving about this book. She would always say that this was the best high fantasy book out there and that everyone should check it out because it was amazing. I was curious and bought the book, but it was so big that I had to postpone its reading to a more suitable time. I was also a little affraid I wouldn't like it because I'm not used to that particularly genre and since the book was nearly 800 pages I just kept thinking that if I didn't like it, it would become a burden and that I would really have to push myself to finish it. Fortunately that wasn't the case, because this book is fantastic and the story is so engrossing that I would completely forget about its size. 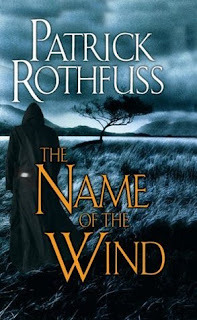 Patrick Rothfuss has an amazing writing style. He doesn't waste our time with details that aren't important to the story, the characters are so well writen that we can easily picutre them and the dialogues are fantastic. I also like the way he incorporated traditions and tales to the story; it was almost like the story itself was based on ancient history and it was something that I really liked because I felt that it made the story a lot more engaging. I really enjoyed reading about all those tales and knowing more about the origins of this world. As for the characters, I think it's impossible not to be - even if just a tiny bit - amazed by Kvothe. He's incredeably smart and the way he sees the world and how he faces the many ordeals he has to deal with is quite unique. I also liked his parents, not only because of the way they educated Kvothe - they helped him develop his intelect but also to grow with a set of good values -, but also because of their love story and their devotion to one another. Overall I loved this book. My expectations were somewhat high given the reviews I had read but, fortunetely, this book didn't disapoint me. 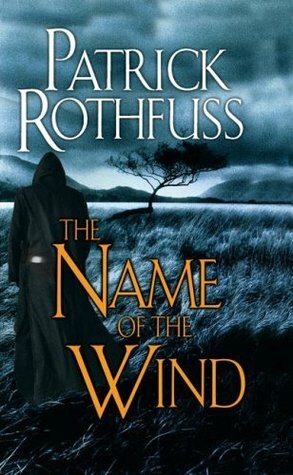 The story is quite enthralling and the characters, especially Kvothe, are amazing. This is only the first instalement of the Kingkiller trilogy and I can't wait to read the remaining books, even though the third one will only come out in 2014. The books are all huge but after reading the first one I'm not surprised; there is still a lot to be told and a lot of mystery to be unfolded.